The Team BMR squad will run a quartet of Volkswagen CC machines for the remainder of the 2014 Dunlop MSA British Touring Car Championship. Aron Smith and Alain Menu, who have run in CCs since the start of the year, will be joined by Jack Goff and team owner Warren Scott who drove Vauxhall Insignias for the first five events this season. 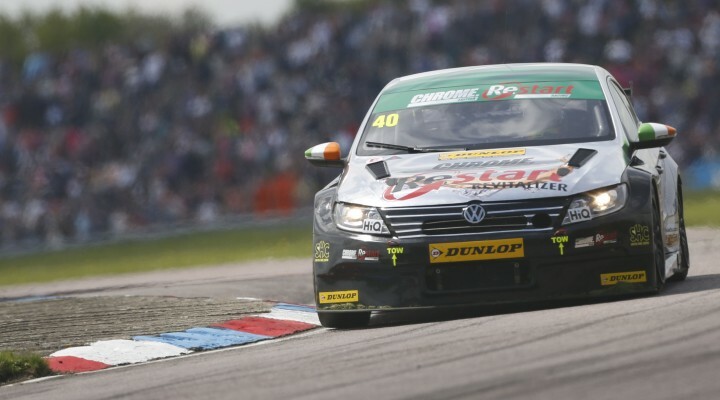 With Aron Smith taking the first ever win for the team in the VW at Oulton Park back in June, it is hoped that the move will bring even faster progress for the fledgling outfit. It had always been the aim of the Hertfordshire-based BMR to run four identical machines, however to get two new cars prepared over the summer break has been an impressive feat. “It’s fantastic to be able to bring the four VWs to Snetterton and is the result of a lot of hard work by everyone at the team,” said Scott. “It was always part of the plan but we weren’t absolutely sure we’d be ready by mid-season. Thankfully all the effort has paid off and we’re delighted to be able to start the second half of the season at full strength. Goff, who scored his first BTCC podium in the Insignia in the final race of 2013, is delighted to make the switch to a race-winning car. He said, “It’s going to be great to have four guys all working on the same thing. To begin with we thought that there would be quite a bit of cross-over between the Vauxhall and the VW, but they’ve turned out to be two completely different animals. Now we can all be sharing data and making the VW as fast as it can be. “The team has done an absolutely fantastic job to get the car prepared. I went down to the workshop last week and couldn’t believe how quickly everything had come together. To be honest they proved that they could do it at the start of the year getting all the cars ready, so this really just shows how professional and efficient this group of guys is.